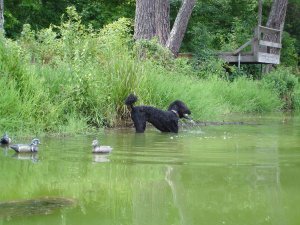 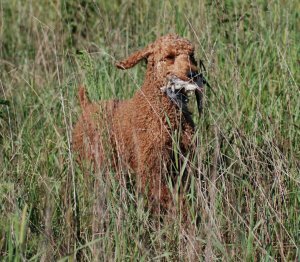 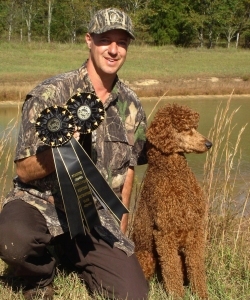 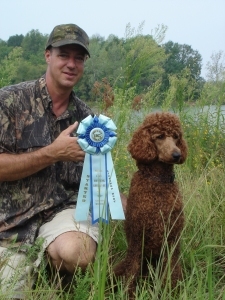 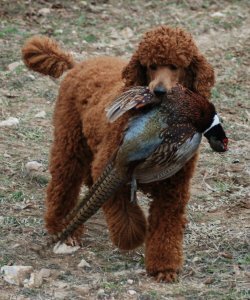 We at Louter Creek Hunting Poodles are striving to breed back the Standard Poodles with good drive to retrieve in and out of the water. 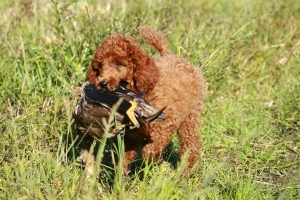 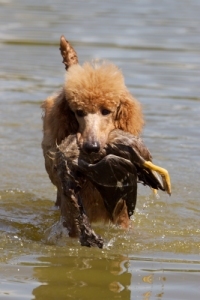 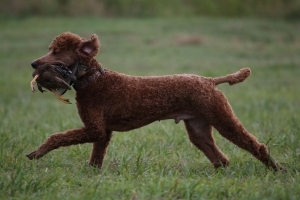 Standard Poodles are very intelligent, easily trained and are proven to be efficient retrievers. 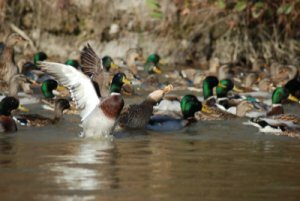 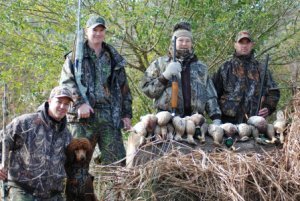 Our dogs are trained slow and steady to achieve the desired results which is an outstanding, reliable waterfowl retriever. 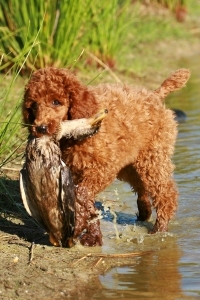 Training begins at an early age of seven weeks by retrieving stuffed toys and bird wings. 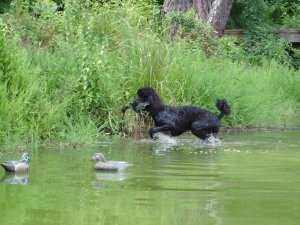 Basic obedience commands such as heel, sit & here are very important to teach a puppy. 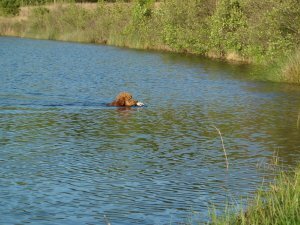 It is also essential to introduce them to water at an early age, and to different bodies of water as they get older. 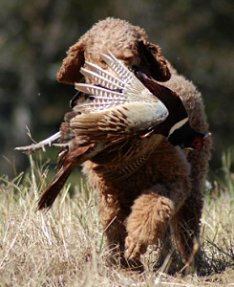 Most important is to practice different drills, such as the depth perception drill which helps them use their eyes for marking (watching the fall of the bird). 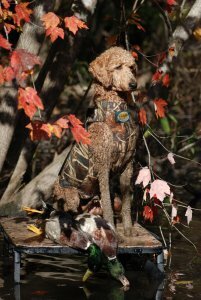 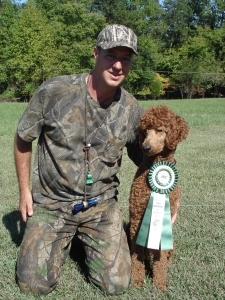 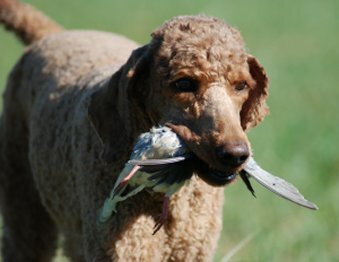 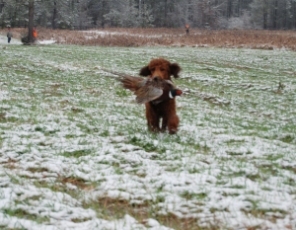 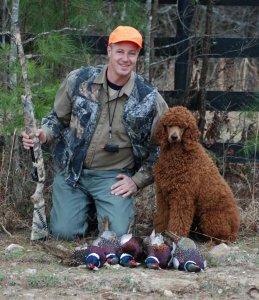 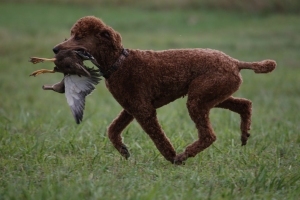 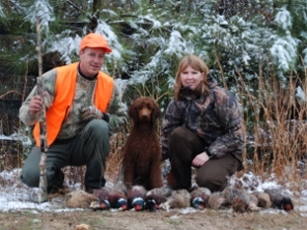 It takes a lot of time and dedication to train your poodle yourself, but in the end it is well worth it, as there is a real bond between the hunter and life long hunting companion. 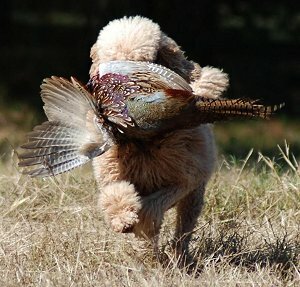 Dec. 1, 2012 "Grace's" First Pheasant at 5 months. 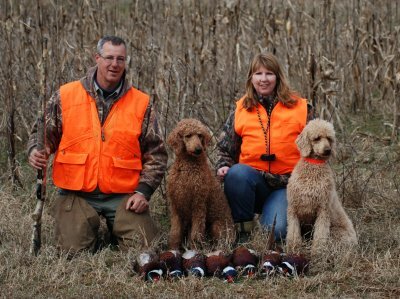 2012 Pheasant Hunt with "Whiskey" & "Reba Mcentire"
Limited out both Saturday afternoon and hunted another field on Sunday morning. 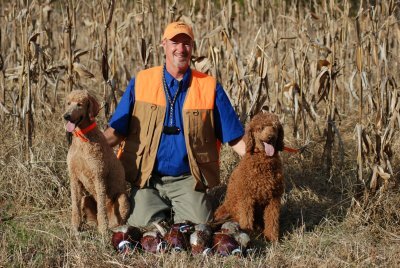 Best dove shoot in recent years! 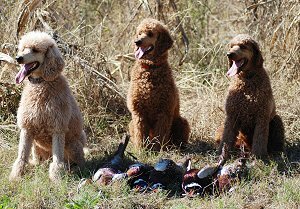 Our three girls showing off! 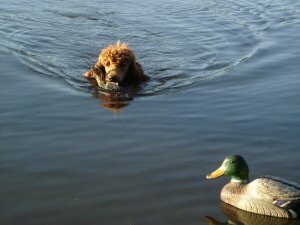 his turn to retrieve more ducks. 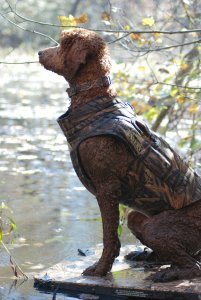 "Reba keeping an eye on the sky"
a great time we had in North West Georgia. 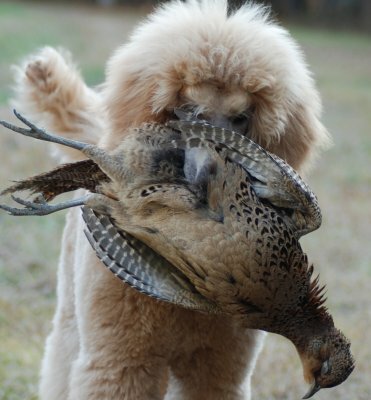 Cooper had his work cut out for him as we had four hunters. 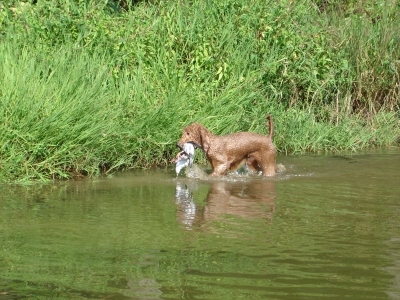 Reba retrieving a Chuckar at 8 wks. 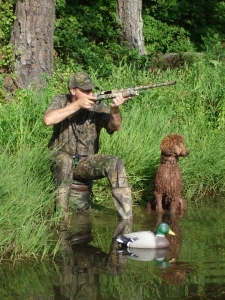 Reba retieving a Mallard at 8 wks.